The 2019-due Compile Heart x ForwardWorks smartphone game. 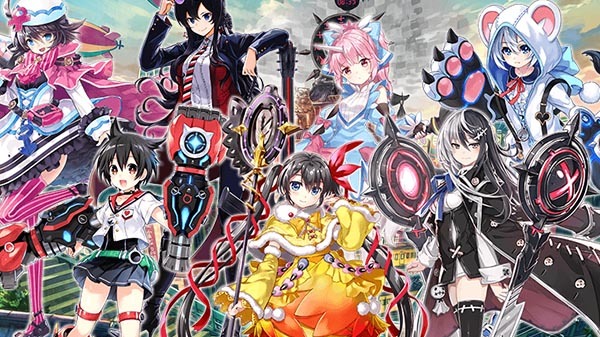 Compile Heart has released the opening movie for Eshigami no Kizuna, its June 2017-announced smartphone game developed in collaboration with Sony Interactive Entertainment subsidiary ForwardWorks due out in 2019. The project, which makes beautiful girls out of Tezuka Productions characters, features a number of illustrators from both inside and outside of Compile Heart, including Compile Heart illustrator Tsunako (Neptunia series), Katsuyuki Hirano (Moero Crystal, Agarest War series), and Kei Nanameda (Trillion: God of Destruction). Characters featured in the opening movie include Phoenix (voiced by Kaori Ishira, illustrated by Takuya Fujima), Atom (voiced by Rie Kugiyama, illustrated by Tsunako), Black Jack (voiced by Nao Touyama, illustrated by Kei Nanameda), and various others. The theme song is “Creation x Creation” sung by Kaori Ishihara. Those whose livelihood are their artwork. In a world where tens of thousands of artists fight to survive, they borrow the power of God to create personifications of various things. The world will only disappear if it is not accepted. Now, fight! It is time to test the “Eshigami no Kizuna” (Bonds of the Artist Gods).